I first became acquainted with the legend of Col. Paul I. "Pappy" Gunn through a 1945 Air Force annual my dad found at Dyersburg Army Airfield sometime after World War II. I read that book through cover to cover numerous times. My next exposure was through the old AIR POWER TV series, which General George C. Kenney narrated. Over the years since, I've found numerous mentions of him and began writing magazine articles about him. Sometime around 2001 I recieved an Email from Nat Gunn, Pappy's youngest son. Nat, who is an accomplished novelist, was working on a book about his dad. His brother and sister lived near me and we got to together. I suggested he look into on demand publishing and steered him toward 1st Books Library, which I had used to publish a novel I'd had around for some time. Nat's book came out in 2004. Nat did an excellent job of telling his dad's story. However, I felt the need for another book that told Pappy's story more from the historical perspective. I completed the book and sent a copy to Nat, but there were a few things we were in disagreement about and he didn't want to have his name on it so I took it out of publication. (The main contention was when he completed the conversion of the B-25 gunships.) Recently, I decided to revise my original manuscript and put the book back in print. 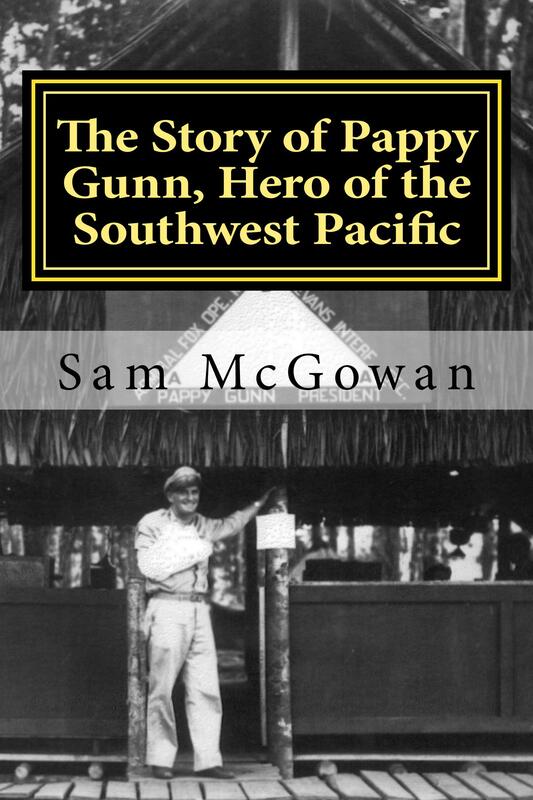 Pappy Gunn was a true character of World War II, and a legend among the men of Fifth and Thirteenth Air Forces in particular. His story is even more amazing because while he was doing his best to bring about the defeat of the Japanese, his wife and four adolescent children were interned at Santo Thomas University in Manila. The Gunn story is remarkable and if there's a story that should be immortalized in print and film, it's theirs.